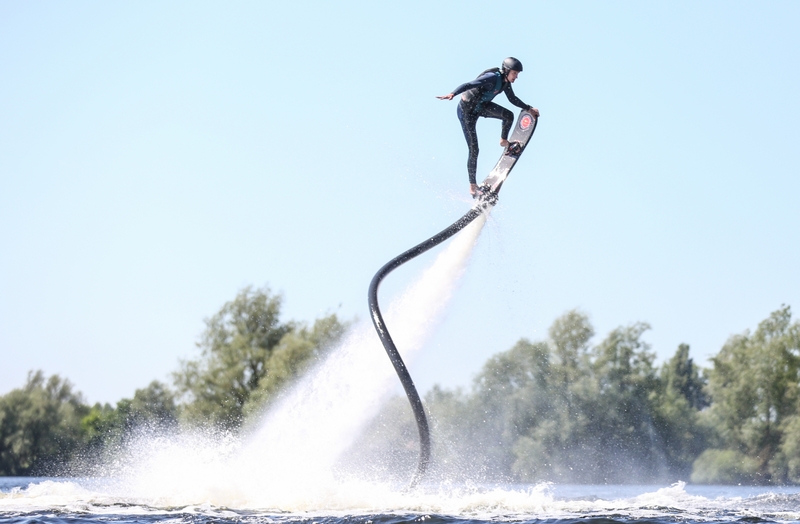 Give a flyboard, hoverboard or jetpack session as a gift! The FlyboardWorld gift certificate is very easy to order and will be sent to you online. Within 24 hours you will have received the gift certificate and you’ll be able to make someone really happy! The ideal gift for friends, family or loved ones. Order now! Capture your flyboard, hoverboard or jetpack session on photo or video to make sure you will never forget it. Your instructor, who will guide you on the water scooter, will shoot the pictures. Through using the latest action camera’s of today, we are able to shoot photos in full HD! The 10 best photos will be send to you as soon as possible! Video footage will be shot from your helmet and from the water scooter in full HD. The footage will then be send to a professional video editor who will combine the best moments into one clip! Why go flyboarding at flyboardworld? Have you ever wondered how it would feel to be a dolphin? What would it be like to shoot through the water, jump into the sky and dive back into the waves? 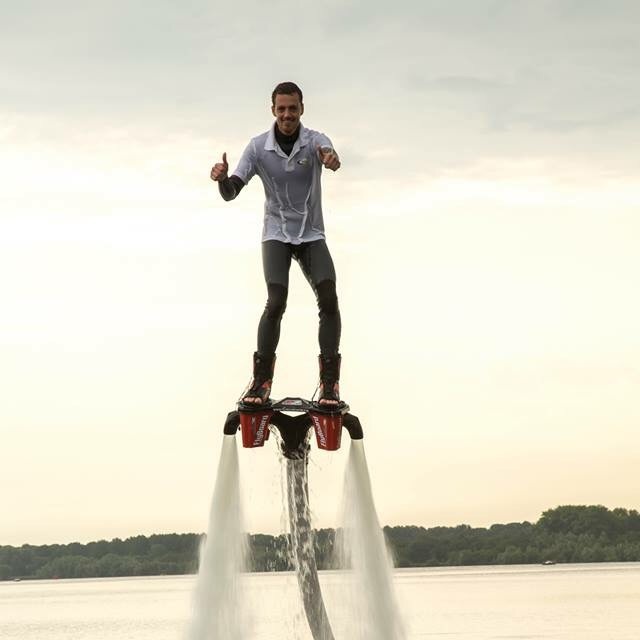 Through flyboarding you can actually experience this! 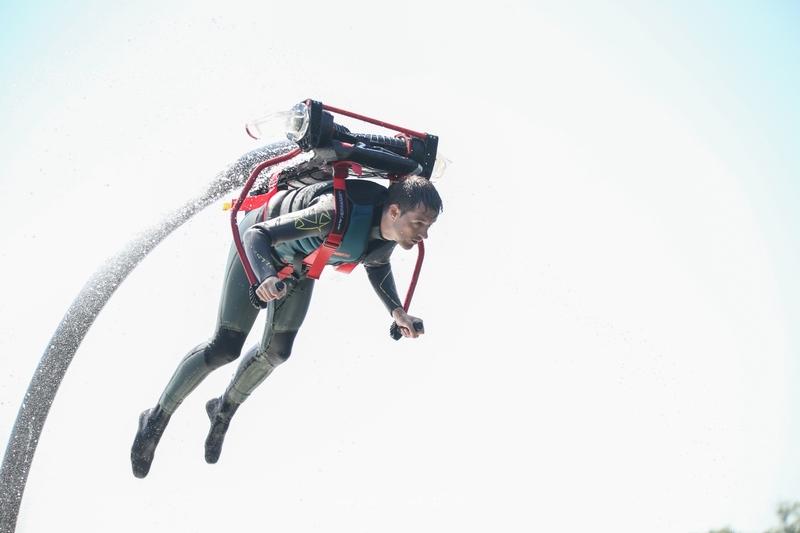 Thanks to flyboarding anyone can be as free as a dolphin. 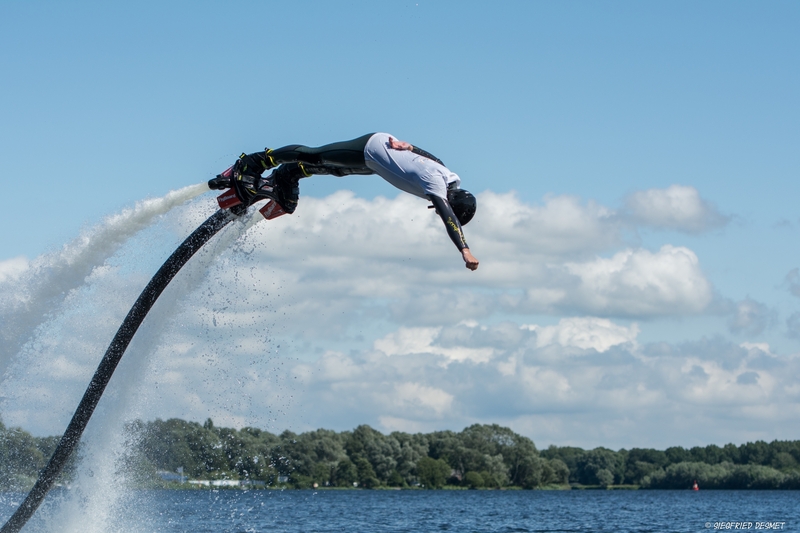 With a flyboard beneath your feet you are able to jump 15 meters out of the water, float over the waves or jump into them and swim faster than you would have ever imagined. And the greatest thing is: flyboarding is easy! You don not need experience to be able to flyboard. Learned it within a few minutes! Great experience! Fantastic experience, I’ll definitely be back again! We had an amazing time, lot of fun and laughs. Good and friendly instructors.